When you first login, your current working directory is your home directory. Your home directory has the same name as your user-name, and it is where your personal files and subdirectories are saved. 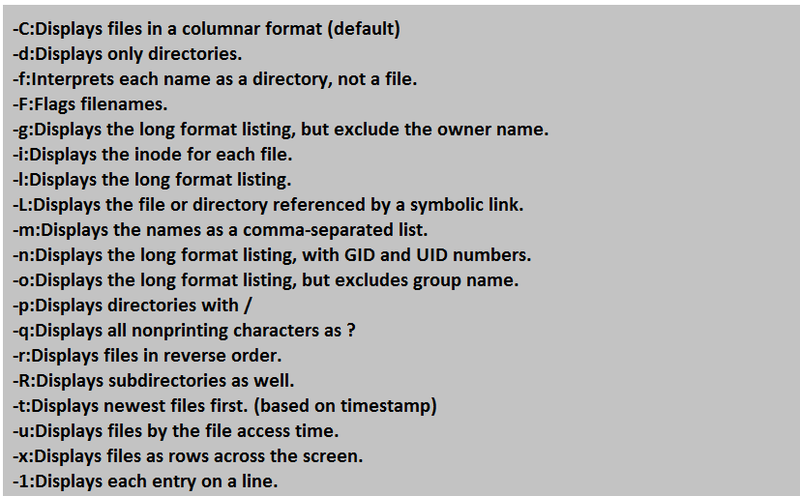 This command is used for list of all files. It will display files and directories. command is used for complete properties of files or folders. Command for list of files or folders in order by time. Command for Reverse order on time base (Ascending order).